You can easily keep track of clock in/out times or perhaps how many times the desktop timer is started/stopped. To access this data, follow the steps below. 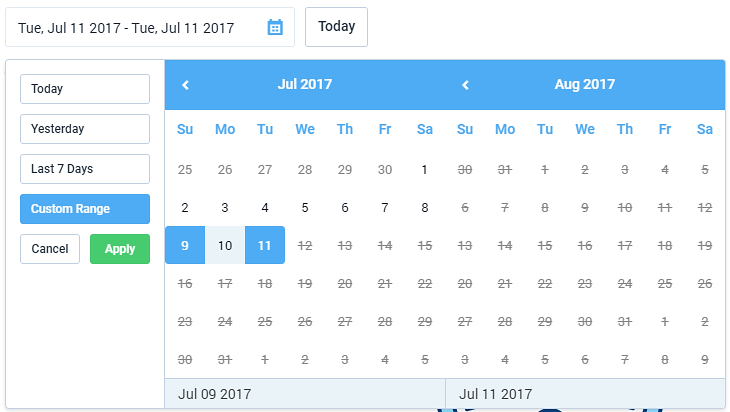 Click on the “Timesheets > Daily” on the left sidebar. Then click on the date and indicate the coverage of the timesheet. Select the user you need review. Once you’ve selected the correct filters, you will see the Time span of the time entries which will include the start and the stop times. Users can now customize the coverage of the report by indicating the date. You can now click on the Duration or Time span and a pop-up window will appear where you can edit your time. 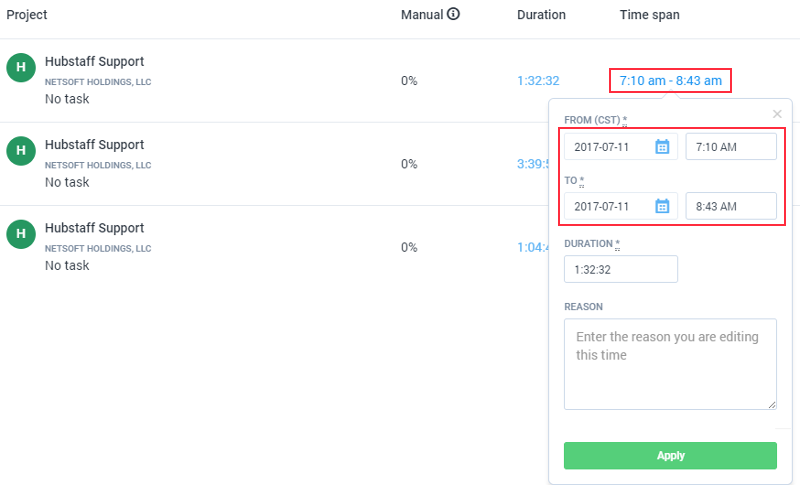 Alternatively, you can see Start/Stop times on a weekly basis by clicking the “Weekly” option under the timesheets section of the left sidebar. There, you’ll be able to click on a specific day’s timeslot, and see all start and stop times for that day.